This great tourist place Cambridge is well-known for its university, the world’s greatest minds such as Milton, Darwin, Hawking, etc. But in Cambridge there are extraordinary theaters and at the same time here we can address scenic arts. Whilst coming to the entertainment part you can find fantastic contemporary restaurants mixed in with traditional pubs and makes your visit all the more enjoyable. For sweeping the city you can climb the tower of Great St. Mary’s Church. 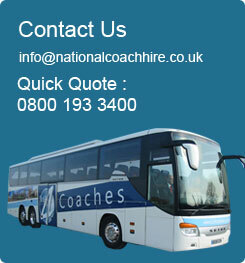 National Coach Hire will show you the best of Cambridge in style, allowing you to soak up the atmosphere of this wonderful place.